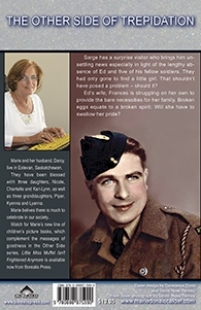 About the Book Sarge has a surprise visitor who brings him unsettling news especially in light of the lengthy absence of Ed and five of his fellow soldiers. They had only gone to find a little girl. That shouldn´t have posed a problem – should it? Ed´s wife, Frances is struggling on her own to provide the bare necessities for her family. Broken eggs equate to a broken spirit. Will she have to swallow her pride?